You can rent a carpet cleaner at your local home improvement store, but if you have a busy household with lots of carpet, you might want to invest in one instead. For $130 you can get one of the top performers in Consumer Reports’ latest carpet cleaner tests. Take note that these machines are powerful—and heavy. The best easily remove embedded dirt and stains without leaving a trail of water and a soggy stretch of carpet behind. 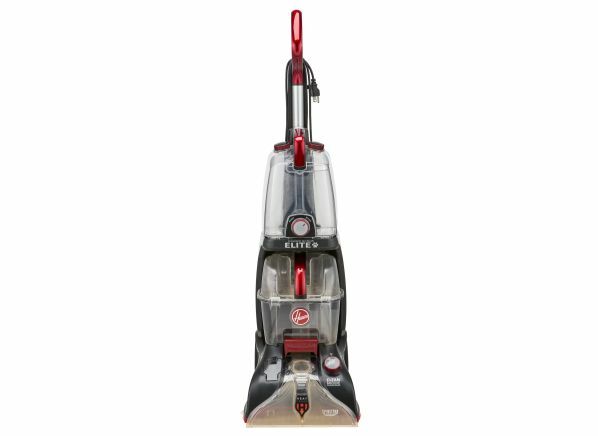 Keep your upright or canister vacuum cleaner at hand before you tackle a messy rug or carpeting: Carpet cleaner manufacturers typically suggest that you vacuum up loose debris before using a carpet cleaner—this ensures that you're not wetting carpet with excess dust or dirt, creating a bigger mess. Before choosing a model, take stock of the area you’ll be cleaning. If you live in a one-story house, for instance, you might not need a model with a long hose. Ciufo also recommends that you think about space and storage, and look for models with attachments that suit your needs. “If you want to clean your furniture, look for a carpet cleaner with a brush that is easy to swivel around cracks and clean fabric,” he says. Keep in mind that carpet cleaners are noisy; some are so loud that we recommend wearing hearing protection. And don’t buy by brand name alone. In our tests, we found big differences among models from the same brand. 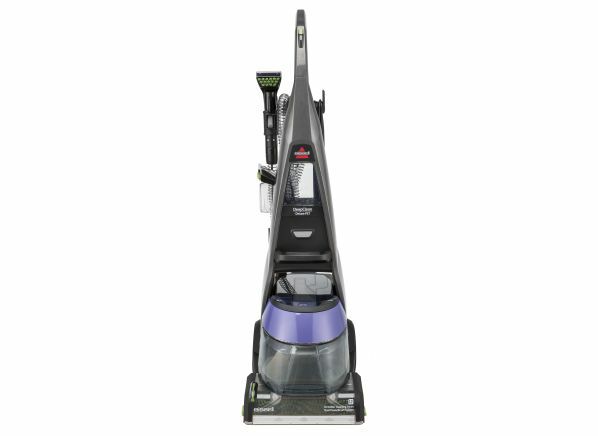 Bissell, for example, holds both the top and bottom spots in our ratings. It takes three days to put one carpet cleaner through our battery of cleaning-performance tests. Our engineers soil large swatches of off-white nylon carpet with red Georgia clay. We run a cleaner over the carpet for four wet and four dry cycles, simulating how you’d clean a particularly dirty spot on a well-trafficked carpet. Then we repeat the test on two more swatches. Our experts use a colorimeter, a device that measures the absorption of light wavelengths, to take 60 readings of each carpet swatch: 20 in its “virgin” state, 20 after it has been soiled, and 20 after it has been cleaned, for a total of 180 readings per machine. The before-and-after comparison gets factored into our score for cleaning performance. CR members with digital access can read on for ratings and reviews of five top picks from our tests, as well as two carpet cleaners to skip. Though their names might look similar to the models that sit near the top of our ratings chart, these models prove to be worse than average at cleaning. When It Comes to Carpet Cleaning, Should You Rent, Hire, or Buy?